Carcinogenicity of mercury and mercury compounds. Formaldehyde exposure and respiratory cancer--a meta-analysis of the epidemiologic evidence. Lung cancer among textile workers in the Prato area of Italy. Measuring work organization exposure over the life course with a job-exposure matrix. Chromosome aberrations in lymphocytes of high-voltage laboratory cable splicers exposed to electromagnetic fields. Contribution of the tonic vibration reflex to muscle stress and muscle fatigue. Shoulder tendinitis and its relation to heavy manual work and exposure to vibration. Bias in risk estimates from variability of exposure to postural load on the back in occupational groups. Hepatic metabolism of toluene after gastrointestinal uptake in humans.  The International Commission on Occupational Health. Past and present.